You may turn your nose up at this recipe, thinking that lavender is for your granny’s pot-pourri. It is true that one must be particularly careful when baking with strong floral flavours like lavender, rose or elderflower. The last thing you want is your dessert to taste like perfume! But if you get the quantity just right, a subtle floral note in a sweet treat can be a delicious thing. 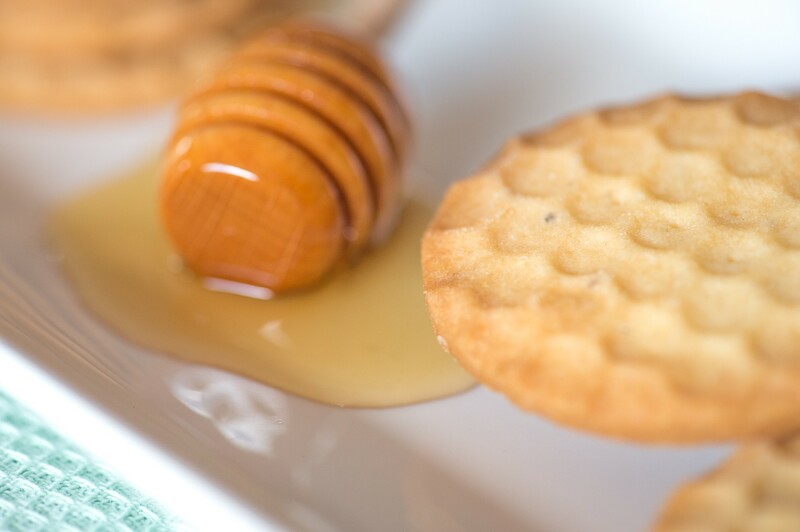 Like in this Honey and Lavender Shortbread. 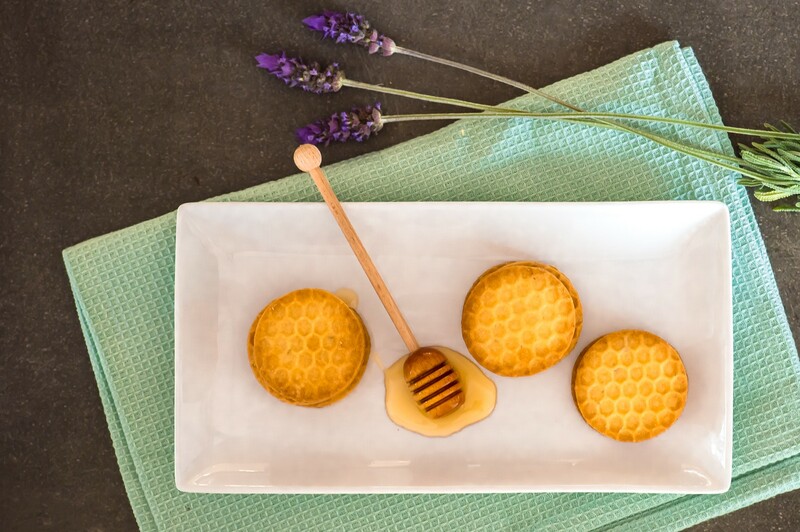 Honey and Lavender work beautifully together and elevate the flavour of a rather plain shortbread to something special. This shortbread is a subtly sweet, crisp and buttery biscuit with just a hint of floral flavour. 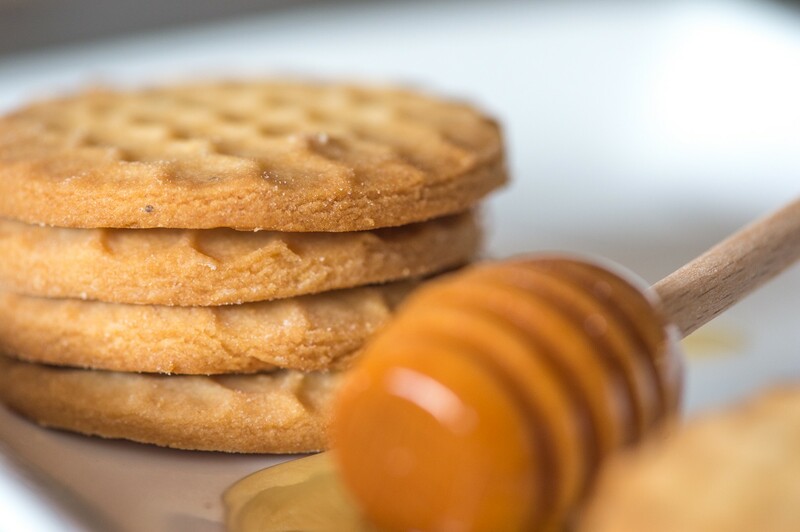 Use a strong flavoured honey to ensure the honey flavour comes through. Preheat the oven to 180°C. Lightly grease a baking tray. Cream together the butter, castor sugar, honey and lavender flowers for 4-5 minutes until smooth and creamy. Sift together the dry ingredients, then add to the creamed mixture gradually until combined and the dough comes together. Do not overwork the mixture once all the dry ingredients have been added. Divide the dough in half, wrap in clingfilm and refrigerate for 45 minutes. Working with half the dough at a time, roll the dough out onto a floured surface and cut out rounds with a cookie cutter. Transfer to your greased baking sheet and bake for 10-12 minutes, or until golden brown. Allow the shortbread to cool on the tray for a few minutes, then place on a wire rack to cool completely. I have been meaning to make lavender cookies. I am so making these one. Where can I get cookie cutters like yours. So excited like I just won a million. That’s how much I love baking.